The city operations department wants more money to hire more transit peace officers, while deployment of those already employed is being discussed in the wake of two stabbings on transit in two weeks. The city operations department wants more money to hire extra transit peace officers in the wake of two stabbings on transit in two weeks. But the transit system is big and it would be unrealistic to expect 24-7 security coverage for the whole system, a city officials said Friday at a news conference. Gord Cebryk, deputy city manager of city operations, said his team will ask for more transit officer funding when city council begins its budget debates in November. But he declined to specify an amount, or say how many more officers would be needed to help patrol buses, trains and transit stations. At the news conference, held two days after a 65-year-old bus driver was stabbed on an early morning shift, Cebryk said repeatedly that "transit is safe." The attack on the driver followed another random stabbing of a teenager on an LRT platform on Sept. 18. The system is patrolled by 66 transit peace officers who work in conjunction with Edmonton Police Service officers. EPS Insp. Derek McIntyre said crimes on transit are less common when there is a security presence. But there are no transit stations that currently have 24-hour security. "It becomes untenable to think that for 24 a day, seven days a week, we'd have the capacity to put police or peace officers on every bus or LRT station," he said. "We work very smartly, we use our analytics to deploy smartly and to deploy in a way that Edmontonians would believe the money they are investing in policing and transit security is being spent wisely," McIntyre said. Given how many people travel through transit stations, he said, the rates of violent crime are relatively low. Meanwhile, the city is advancing on a proposed pilot project that will see retractable shields installed on a small number of buses. 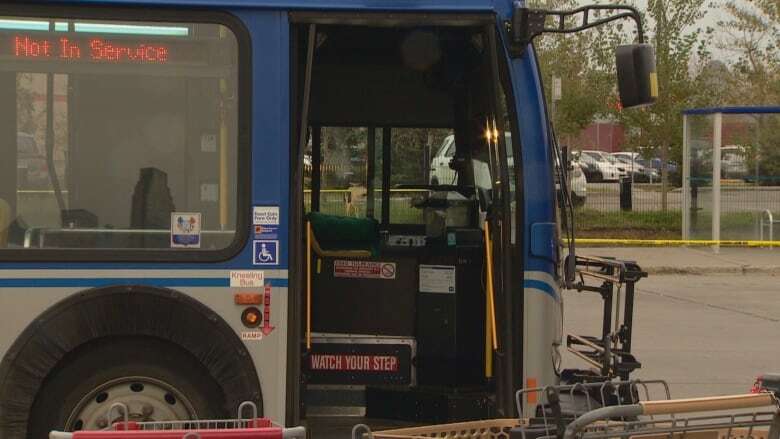 The shields will move up and down easily, like a "regular car power window," said Mark Tetterington, president of the Amalgamated Transit Union's Edmonton local. He couldn't confirm exactly when the shields will be installed. He said a recent poll of 63 drivers who work late-night routes indicated 100 per cent support for the shields. It's not the first time city transit drivers have had some sort of shield installed in buses, but Tetterington said previous models were made of heavy acrylic plastic that drivers didn't like. The bus driver attacked earlier this week was in "good spirits," and was set to be released from hospital on Friday, Tetterington said. ETS released in correct information on Wednesday that said the driver had already been released from hospital. Tetterington said he met with city administration earlier this week to talk about safety, and said he is "very confident we'll get a lot more security out there for our members." Cebryk, from the city, said safety shields, security presence and cameras are all important when looking at improving transit safety. "You have to look at how you put all those pieces together, and the net impact is a much safer system."